Rainbow Brite was a bit after my time. I never watched the show but I knew who she was, everyone did. And there is always at least one person cosplaying her at Comicons. 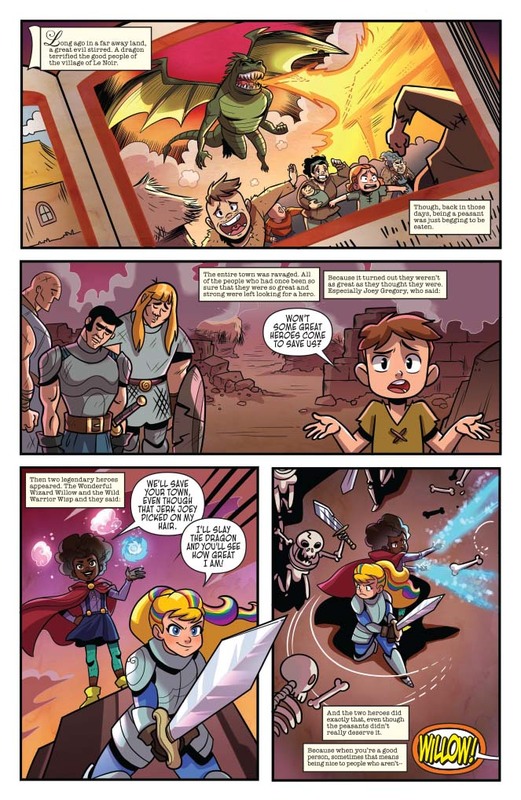 Then I found out one of my favorite comic writers, Jeremy Whitley, was going to be involved in bringing Rainbow Brite to comics, I was onboard. 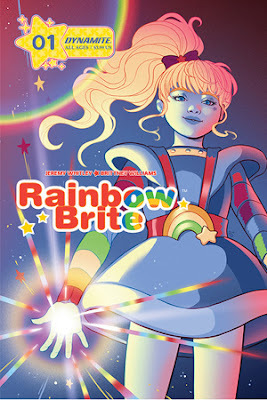 The comic series will begin with Rainbow Brite's origin story and giving the reader plenty of world building and character development. The original cartoon didn't include any of that. So Jeremy had creative license to invent a modern day Rainbow Brite. 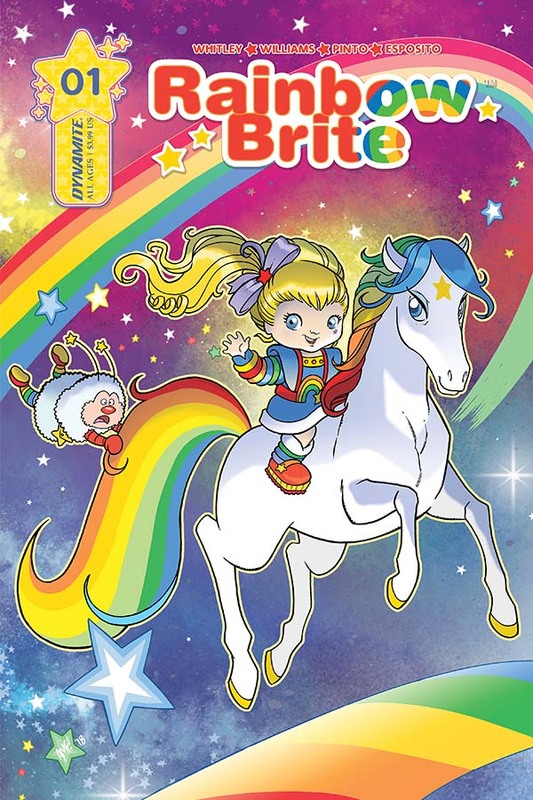 And if there was ever a character meant for the magical girl genre it's Rainbow Brite. 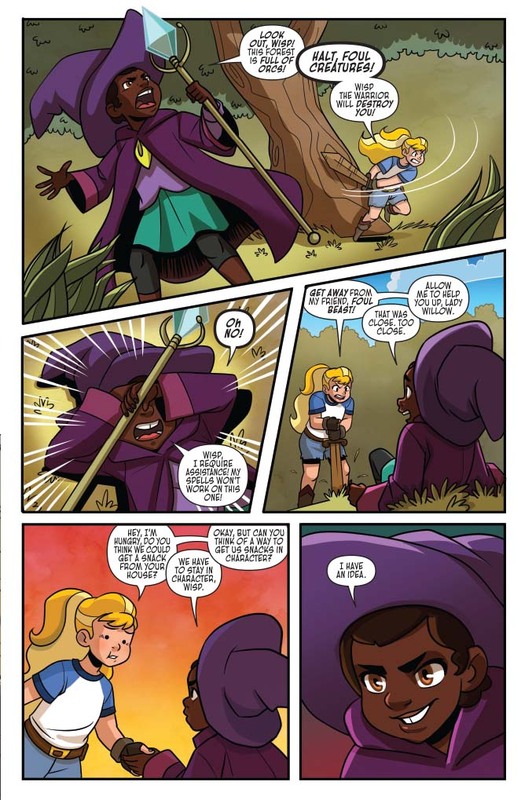 In issue #1 you meet Wisp and her best friend Willow. They are LARPers (live action role players)! We meet Willow's supportive parents and get a peek into Wisp's home. It looks like she is being raised by just her mom. Wisp sees some color stealing monsters and doesn't hesitate (she might be a fight first, talk later kind of girl) to go after them. She meets Twinkle and life gets weird for Wisp. He is the writer/co-creator of the original series “Princeless", “The Order of Dagonet", and “Illegal". He has also done work for hire for companies such as IDW Publishing on the properties “My Little Pony: Friendship is Magic", “My Little Pony: Friends Forever" and “Courage the Cowardly Dog"." 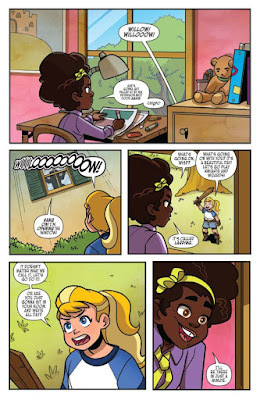 Princeless" has been nominated for two Eisners, including “Best Series for Ages 8-10" and “Best Single Issue (Vol 1 Issue 3)". 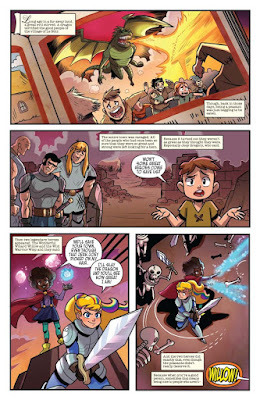 “Princeless" has also won three Glyph Awards for representation in comics including “Best Story", “Best Female Character" and “Best Writer" for Jeremy’s work on the book. This series was also nominated for “Best Cover" and “Best Artist" both for work by M. Goodwin.